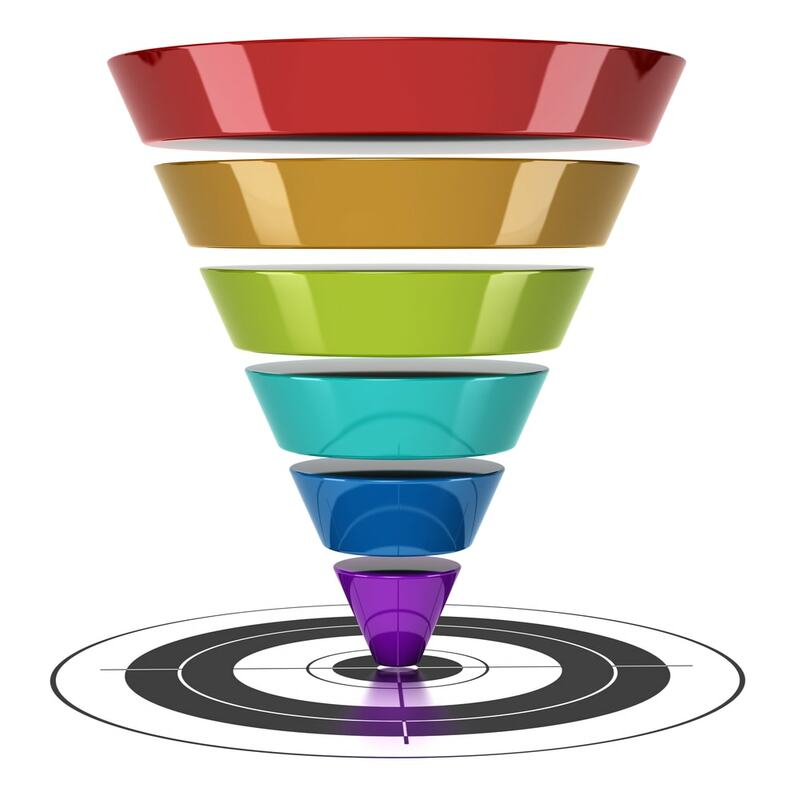 Fo maximum results, use content marketing all through the sales funnel. This question, “How to balance the investment between content and lower-funnel activities?” assumes that content is only for the top of the sales funnel. Not true! 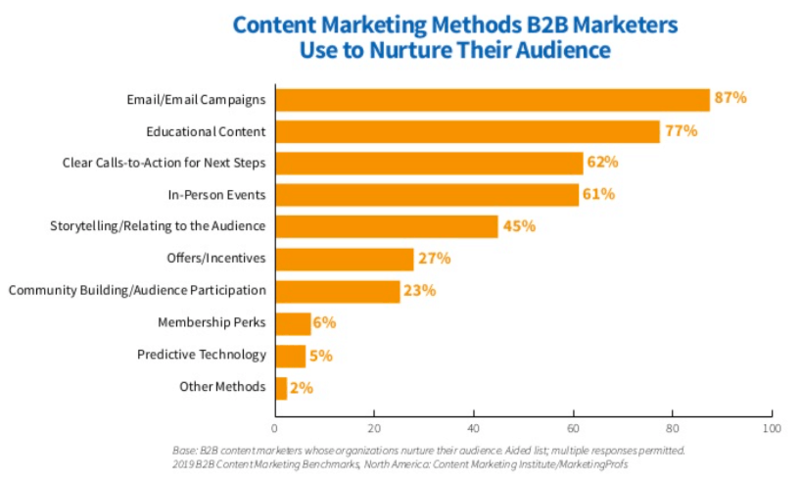 The 2019 Content Marketing Institute (CMI)/Marketing Profs research offers insights into how B2C (business to consumer) and B2B (business to business) marketers use content marketing all through the sales funnel. 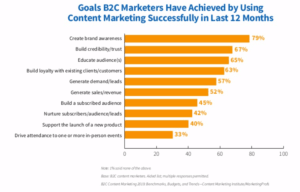 4 out of 5 marketers use content to build awareness. 2 out of 3 use content to build credibility and trust. 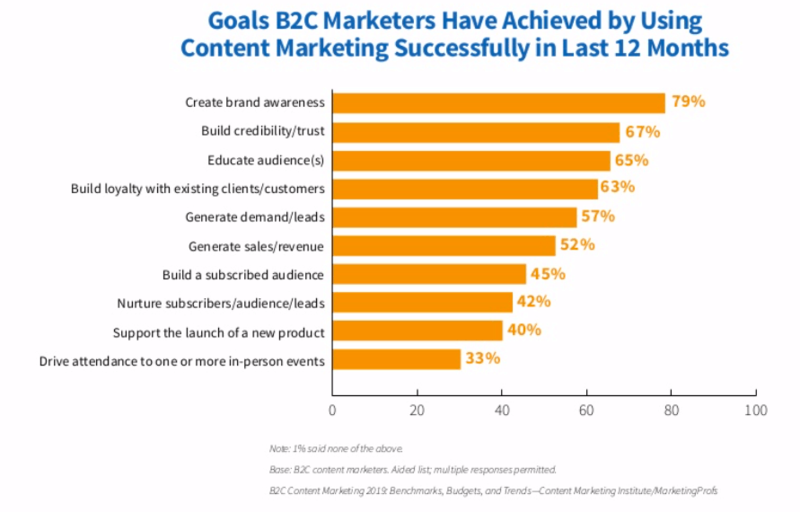 B2C marketers use content marketing all through the sales funnel, first creating awareness and trust. In mid-funnel, marketers create content to educate audiences and build a subscriber audience – primarily with email and educational content. More than half of B2C marketers insert clear calls to action, plus offers and incentives, to prompt buyers to move through the funnel. In short, consumer marketers successfully use content marketing all through the sales funnel. 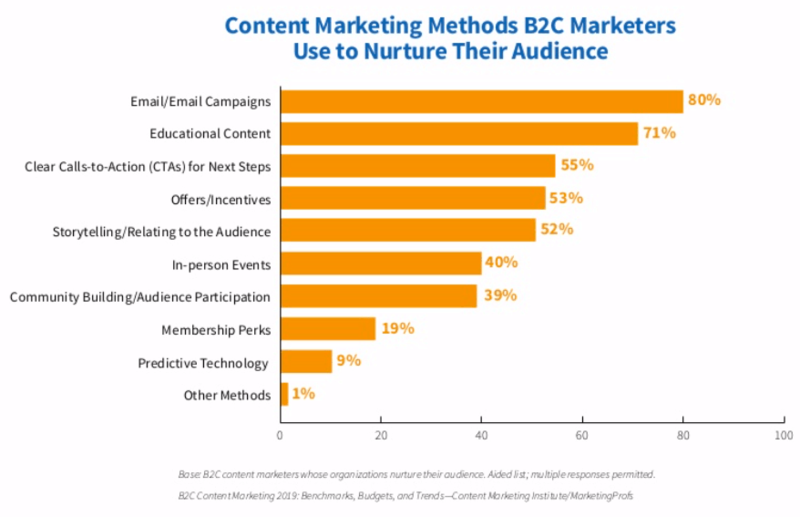 Here are the content marketing techniques marketers use most often to nurture their audiences down the funnel. To nurture customers towards a sale, marketers use email, educational content, calls to action, offers and incentives. 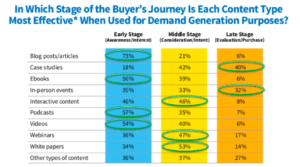 B2B marketers also create content for the top, middle and bottom of the sales funnel. At the top of the funnel, more than half of B2B marketers are using blog posts, eBooks, podcasts and videos. In the middle of the funnel, B2B marketers use webinars, interactive content and case studies the most. At the bottom of the funnel, content focuses on case studies and in-person events. 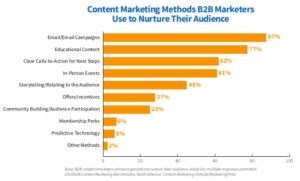 B2B marketers use content marketing to nurture customers through the sales funnel. Using content marketing all through the sales funnel works, both for business and consumer marketers. 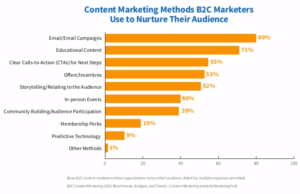 B2B marketers use different types of content marketing all through the sales funnel. 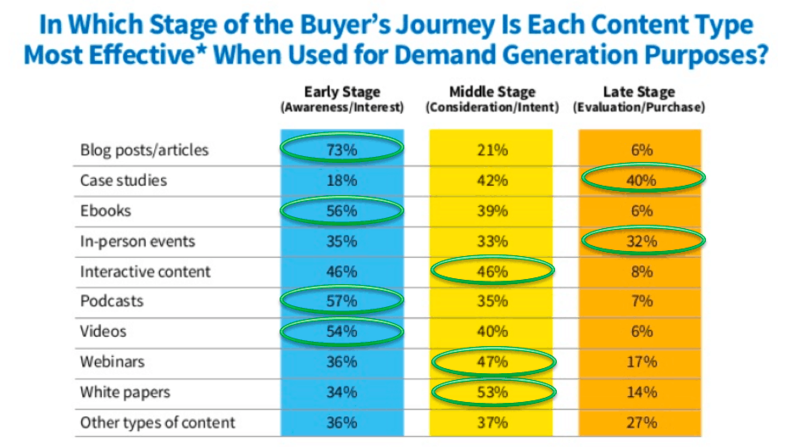 Buyers need different types of content at each step in the buyers’ journey. Use content marketing all through the sales funnel. By creating different types of content for the top, middle and bottom of the sales funnel, you’re in synch with best practices in content marketing. To get the best results, use content marketing all the way through the sales funnel. Create different types of content for each of the 4 steps in a carefully considered purchase (both B2C or B2B). Buyers recognize a need, evaluate options, and get social proof before making a purchase. Here’s a blog on how to create content for each step in a carefully considered purchase journey — for example, a consumer buying a house or retirement plan, or a business investing in infrastructure and capital facilities. Generate content not only for buyers, but also for users to help them get the most out of your product. Great user content prompts customers to come back to you when it’s time to buy again. 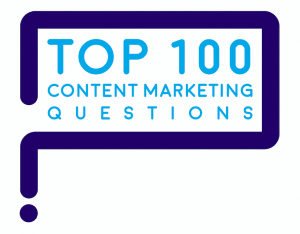 One of the top 10 blogs of 2018: the answers to marketers’ top 100 questions about content marketing. 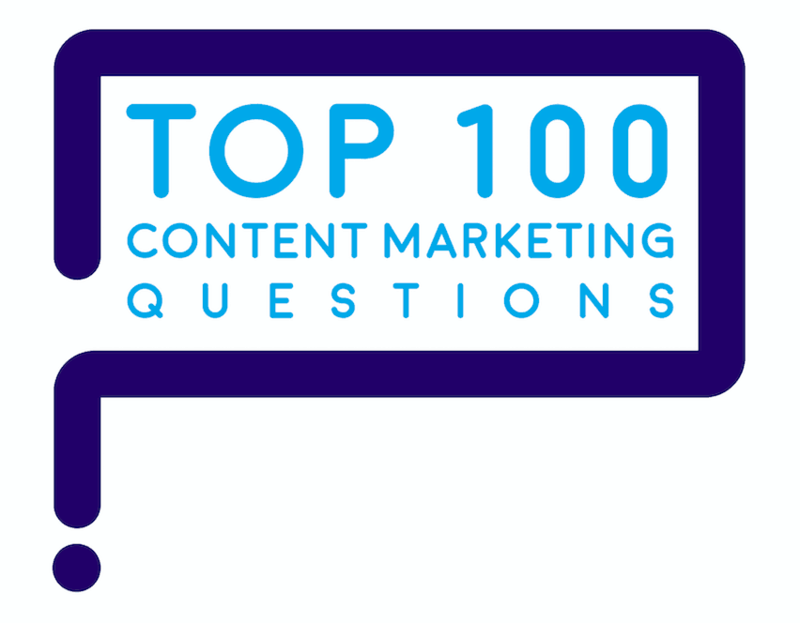 “How to balance the investment between content and lower-funnel activities?” is one of marketers’ Top 100 Questions on content marketing. Here are the answers.